Event organisation is pretty tricky if you don’t take into consideration some key things. Neglecting to plan in advance is a sure way to create problems. Todich Floral Design have a great list of tips to tick off as you prepare for a brilliant event. And with sustainability high in everyone’s priorities including corporations plants and flowers are the perfect decoration for a corporate event. What could be nicer than a living decoration which avoids plastics and single use items which invariably end up being thrown away at the end of the night? This is where our Waterproof Paper Pottery fits in. A living plant in a Waterproof Paper Pot says a lot about what type of corporation you are and how you value the world. 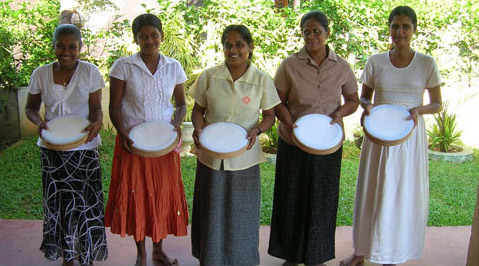 It started when a group of Nuns from Rome began a school for the hearing impaired in Sri Lanka. From these small beginning the Araliya Community Company began.